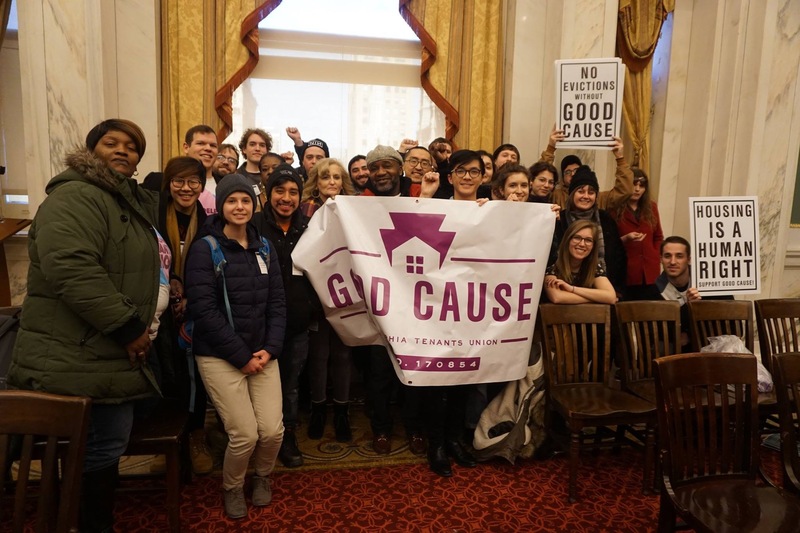 Thanks to EVERYONE who helped us pass Good Cause in Philadelphia! 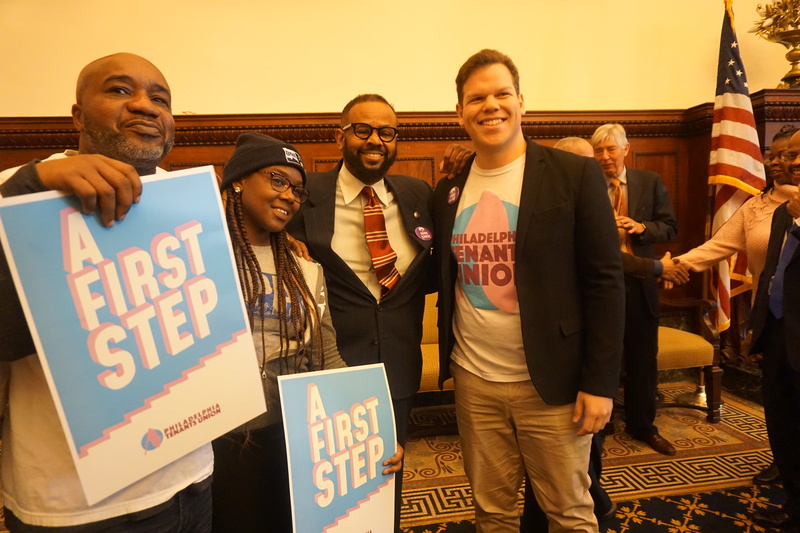 The Philadelphia Tenants Union is proud to say that passing this legislation was a result of the effort of many activists and community members who know best how to help solve problems affecting all of us. 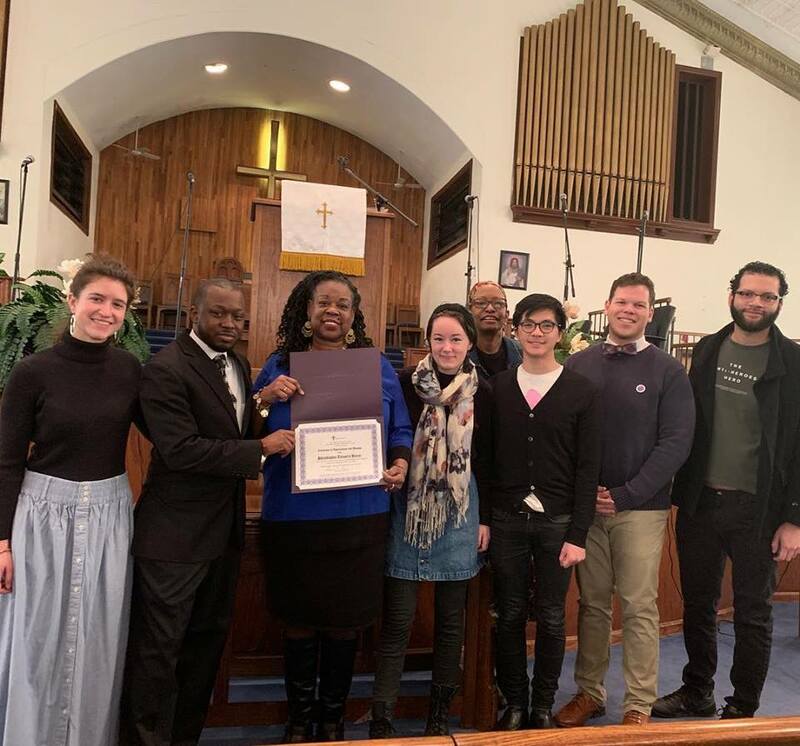 Special thanks to TURN and CLS for their help in passing Bill 170854 in December 2018. Some photos of the team! 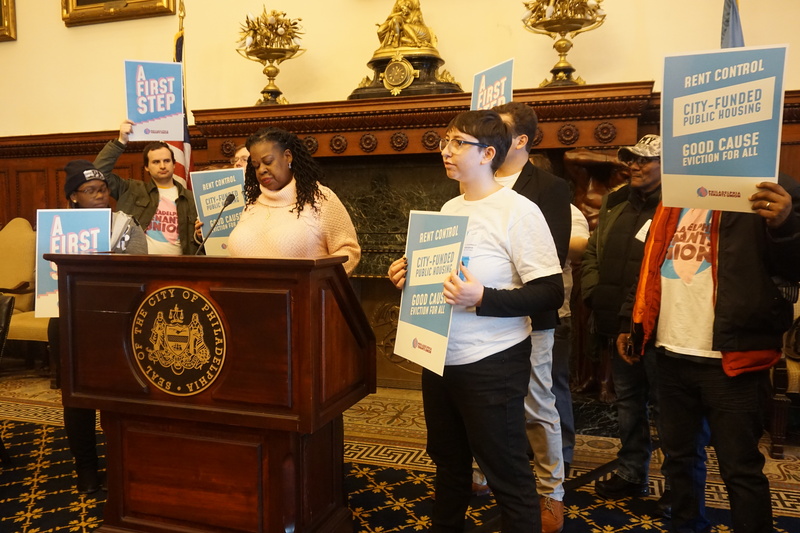 The PTU and Philadelphia community may have passed Good Cause Bill 170854, but that is only a first step. 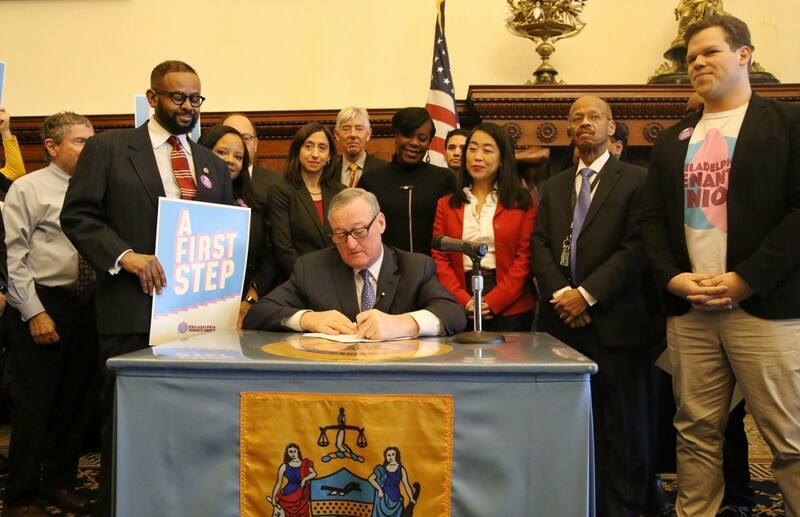 We have much more work to do, starting with having Good Cause apply to EVERY Philadelphian. Read below about the background of this issue. In some Philly neighborhoods, 15% of people get evicted every year. No community can stay strong when 15% of its residents live with no security, always moving from home to home. It steals their homes, their connection to their schools, their right to grow up free from fear. And when they get pushed out, there’s less and less places to go. 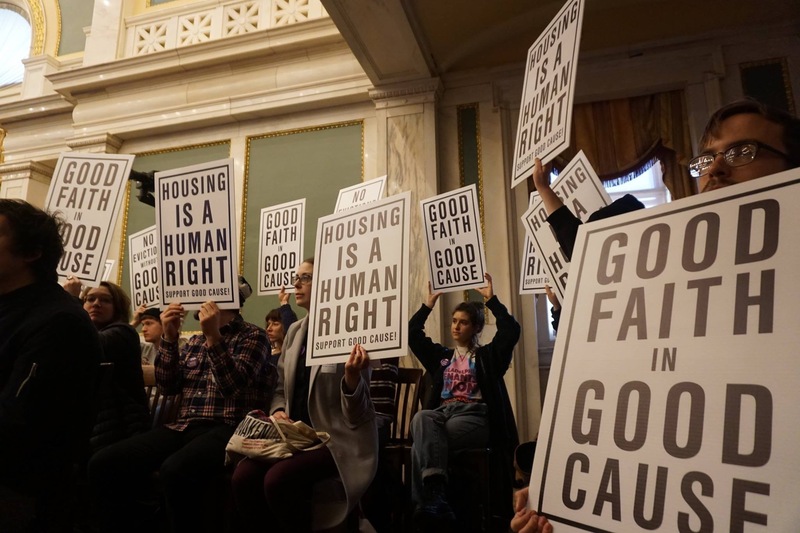 Philly has lost 20% of it’s affordable housing over the last 15 years–that’s 24,000 thousand homes that have been taken from working class people. Eviction attacks people of color. Did you know that every tenant in New Jersey already has Just Cause? Did you know that every tenant that gets low income housing assistance already has Just Cause? If it’s good enough for Jersey, why not Philly? City Council could pass a law tomorrow giving tenants this protection. And that’s what we want them to do.